Lane house in Kill Devil Hills on the Outer Banks of North Carolina is a popular rental that has earned more than $400,000. 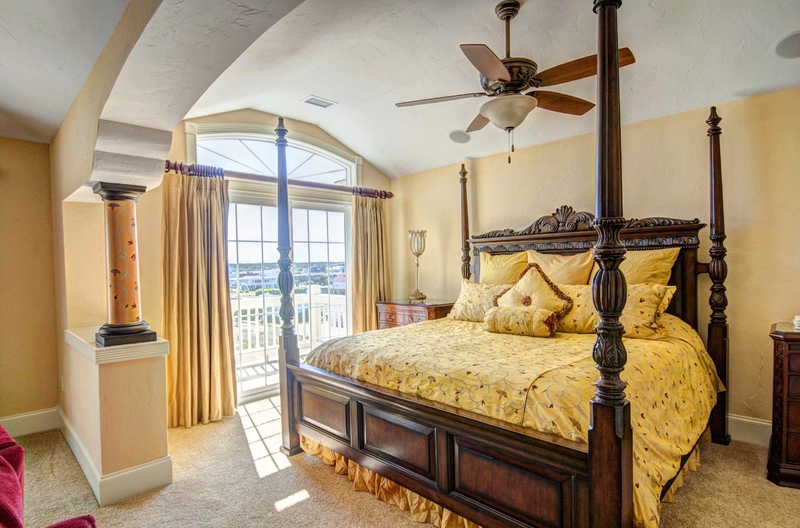 The home has 18 bedrooms and 18 full baths spread over for levels of Mediterranean design with unsurpassed panoramic views of the Atlantic Ocean. 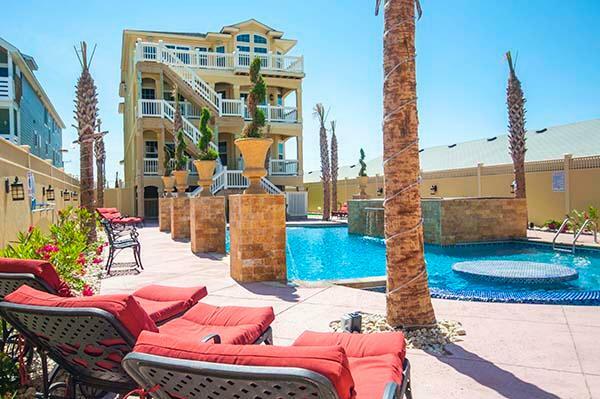 This palatial estate has a large great room, dining rooms, a theater room, and much more. This estate home includes a marble foyer, custom iron balustrades, hand painted murals and endless ornate custom designed Italian marble. 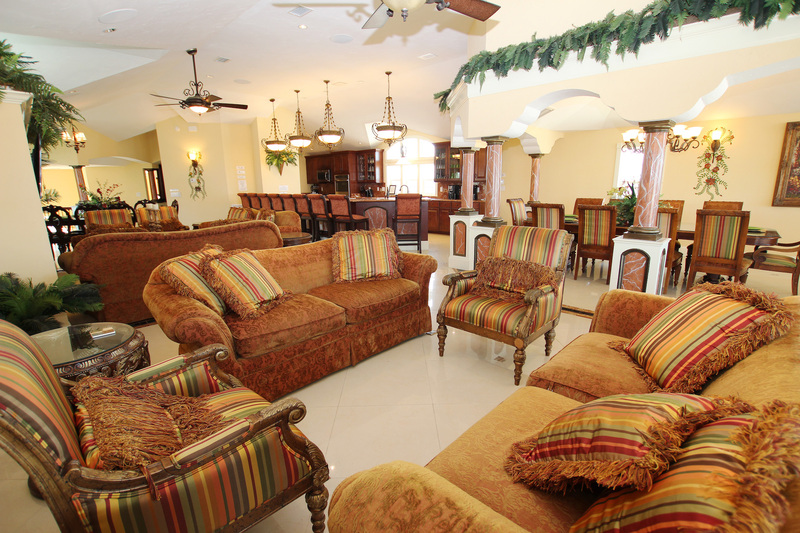 It is professionally decorated with the finest custom furnishings and it features state-of-the art electronics. Upon entering, you will find Italian marble flooring with custom mosaic inlays. The massive home has hand-painted columns, high-end furnishings, a gas fireplace, and multiple sitting areas with gorgeous ocean views. The kitchen includes seating for 42. The Expansive gentleman’s sports bar features coffered ceilings with a hand painted dome, mahogany paneled wainscoting, kitchenette with refrigerator, dishwasher, commercial icemaker, wine cooler, billiard table, game table, three flat screen TVs, karaoke player and surround sound. There is also a theater room with a 119″ projection screen, with HD projector and Blu-ray DVD player, fiber optic twinkling star tray ceiling, and reclining over-sized theater seating. 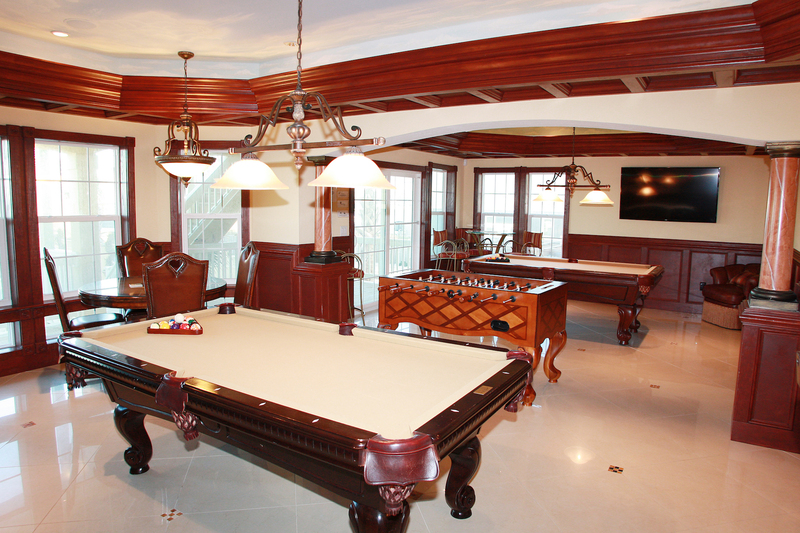 The recreation room is equipped with billiards table, foosball and two televisions. 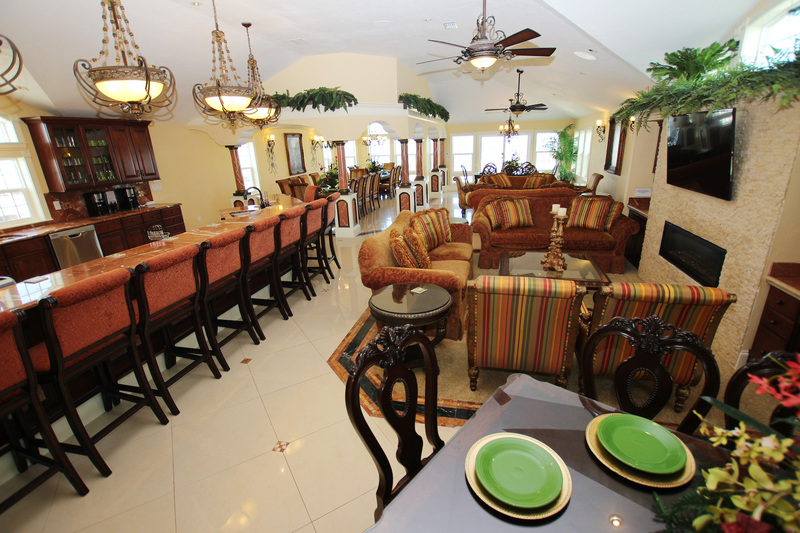 The second level features two bedrooms, living room with sleeper sofa and full bath with poolside and oceanside decks. The third level is complimented with a travertine natural stone sundeck above. The home has a private walkway to the ocean. A custom stone waterfall flows into the LED-lighted pool with beach entry and swim-up bar. This home is listed for $4.199 million with Howard Hanna Real Estate Services, an affiliate of Luxury Portfolio International.